The fifty-nine books were published by Random House from 1964 to 1990 and various titles have been reissued by Scholastic, Weekly Reader, Alfred A. Knopf and Random House from 1971 to the present day. This body of published work showcases the great success of The Three Investigators. Their motto is "We Investigate Anything" and they have done just that. By keeping an open mind, the three lads have prevailed where adults have often failed, solving the most complex of riddles and foiling the plans of some uniquely diabolical criminals. Bob and Pete live with their parents and Jupiter lives with his uncle and aunt, Titus and Mathilda Jones, who own and operate The Jones Salvage Yard. Jupiter, First Investigator, is rather stocky, but behind his outward appearance is an astounding intelligence that borders on genius. Pete, Second Investigator, is tall, muscular and athletic. While often initially hesitant around supposed danger, he is always ready for action when it counts. Bob is slighter of build and more studious, but with an adventurous spirit. He is chiefly in charge of Records and Research and has a part-time job at the local library which enables him to hunt up information helpful to the firm’s investigations. In The Jones Salvage Yard is an accident damaged mobile home trailer which Titus Jones was unable to sell. The investigators have instead rebuilt it as a modern Headquarters for their firm, complete with laboratory, dark room, and a fully equipped office. Over time, they arranged stacks of junk all around the trailer so that it is invisible, and forgotten by the outside world. 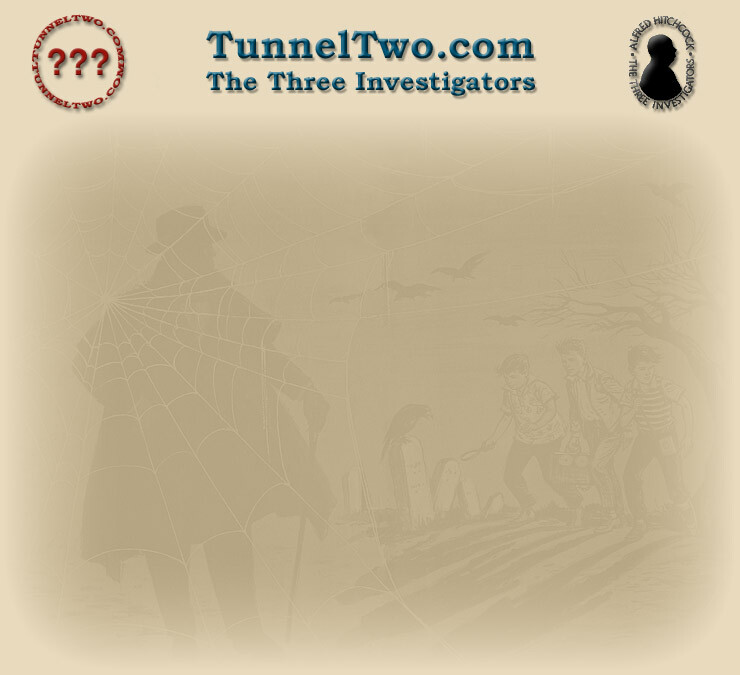 The investigators keep it secret by using hidden entrances and the entrance they use most often is Tunnel Two, a length of corrugated pipe which runs from Jupiter's outdoor workshop partly underground, beneath some junk and under Headquarters to a trap door which opens into the office portion. One could go on and on in much more detail, but I believe it is best to allow the pages of TunnelTwo.com to do that instead. I hope they are informative and enjoyable. Onward!